I think SEGA wants to date us. 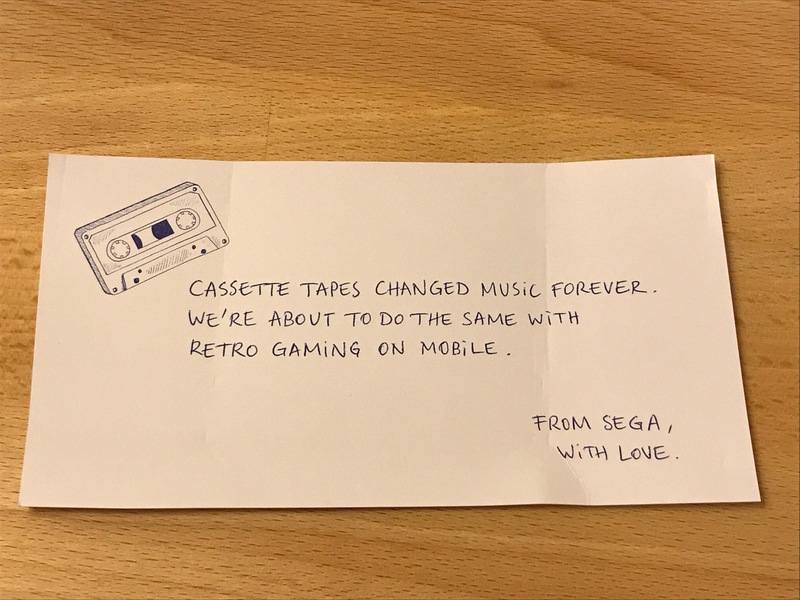 I mean, they sent us a SEGA mixtape and included a love note. We’re not going to say no, we are a fan site of course! 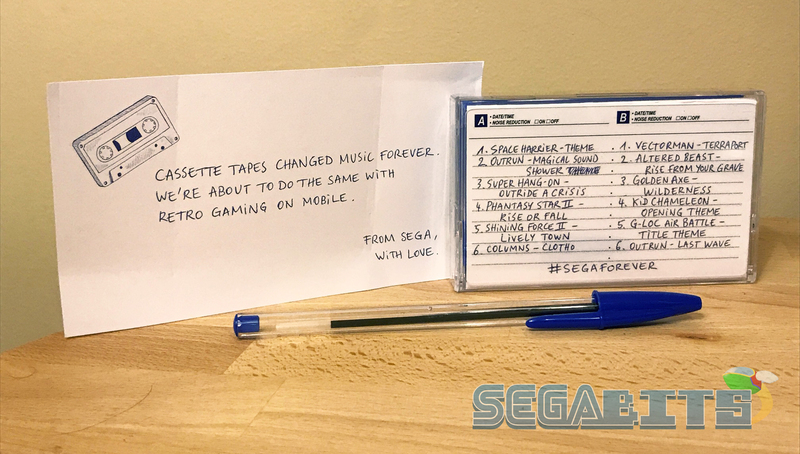 Actually, the mixtape and included note and pen are a clever way to launch the upcoming SEGA Forever, which we guessed to be a retro SEGA games collection for mobile which will include arcade and SEGA Genesis/Mega Drive titles. As the SEGA Forever social media accounts hint, Comix Zone will be the first title with Crazy Taxi likely being grandfathered in. There is no evidence, yet, that this is a subscription service and we’re sure to learn more late this week or early next. In the meantime, let’s take a closer look at the tape and note (and pen)! The note confirms our suspicions of what SEGA Forever exactly is, retro SEGA games on mobile. However, as mentioned, we are not sure if this is a subscription service or simply the name of the lineup much like how SEGA Heritage and SEGA 3D Classics were used. 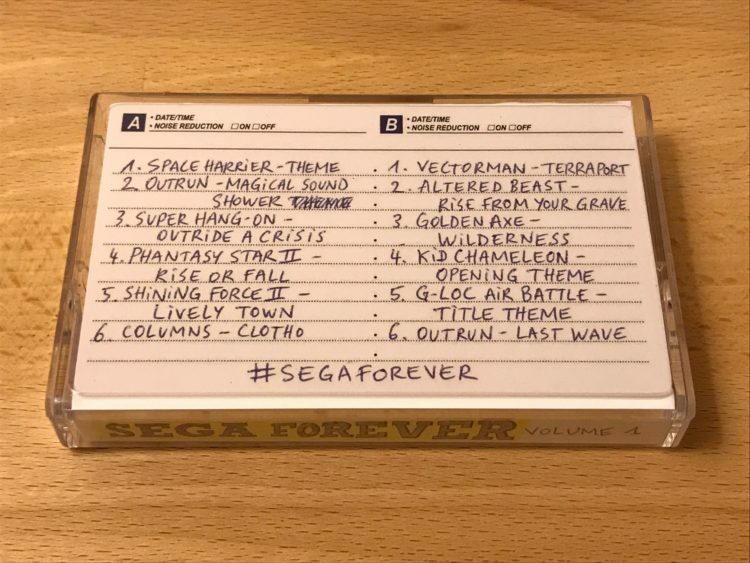 The tape includes tracks from Space Harrier, Super Hang-On, Phantasy Star II, Shining Force II, Columns, Vectorman, Altered Beast, Golden Axe, Kid Chameleon, G-LOC and OutRun. My guess is, the SEGA Forever lineup will eventually feature these games. Despite the handwritten text, this was printed. So no, some poor SEGA Networks intern is not making all of these by hand. Volume 1 implies more to come, or it is a cheeky Guardians of the Galaxy reference. I’m hoping SEGA continues this sort of marketing should SEGA Forever take off as I’d love to add more tapes to my library. Here is the tape itself. Sadly, I don’t own an audio cassette player any more despite owning a VCR, two VCD players and a Philips CD-i. Thankfully, I should have one in hand by next week! In the meantime, I’ve assembled a YouTube playlist containing the tracks found on the tape for your listening pleasure! 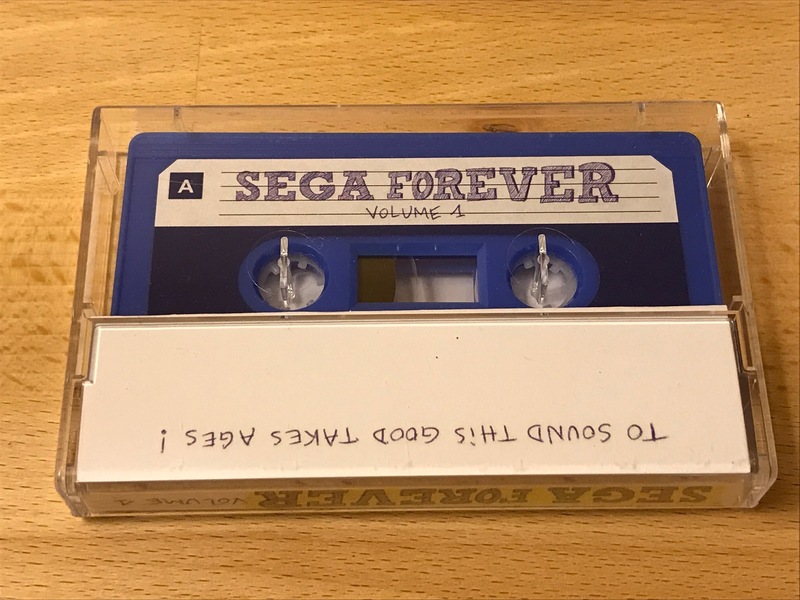 You can follow SEGA Forever on Twitter, Instagram and Facebook – currently, they are teasing the SG-1000! Oh, and here’s the pen. 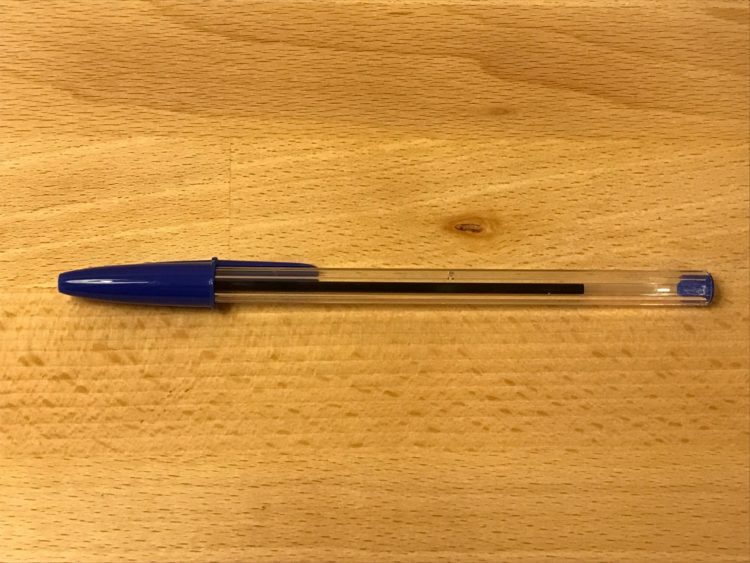 Why a pen? Well kids, back in the day when your tape machine would eat a tape, you’d have to use a pen like this to spool the tape back in. I remember doing this many times with my Disney Afternoon soundtrack. I’m very impressed with how SEGA is kicking off SEGA Forever and am very interested to learn more about it! Of course, once I know more I’ll be sure to share it here! Wait so… is that a hint? Ages as in Sega Ages? 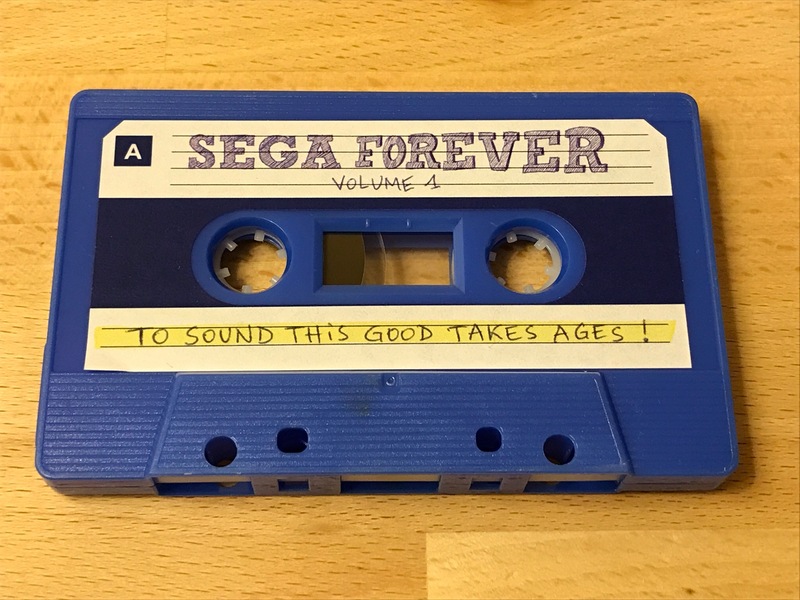 Here the link: http://www.mediafire.com/file/ter53xx2tjc9in9/SEGA_Forever_-_Volume_1.zip (only sticker and inlay).